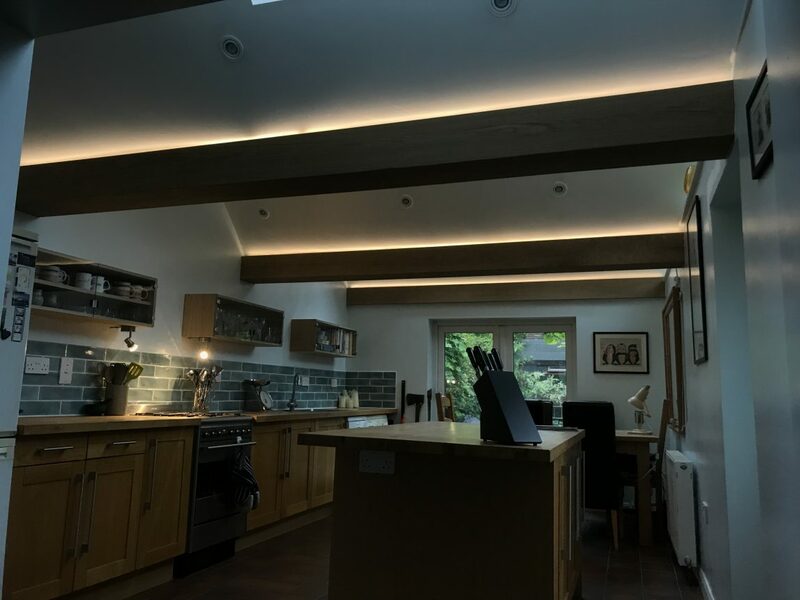 Here is an example of how some LED strip lighting can add the finishing touch to a new kitchen. 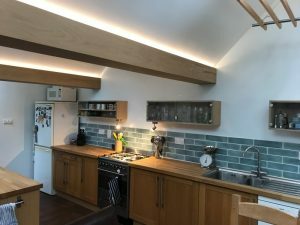 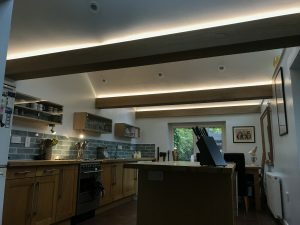 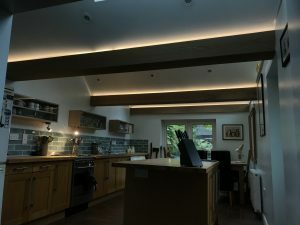 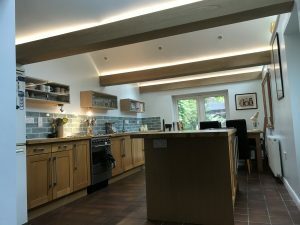 Our client was refurbishing his kitchen and wanted us to provide LED strip lighting for several beams in the kitchen. 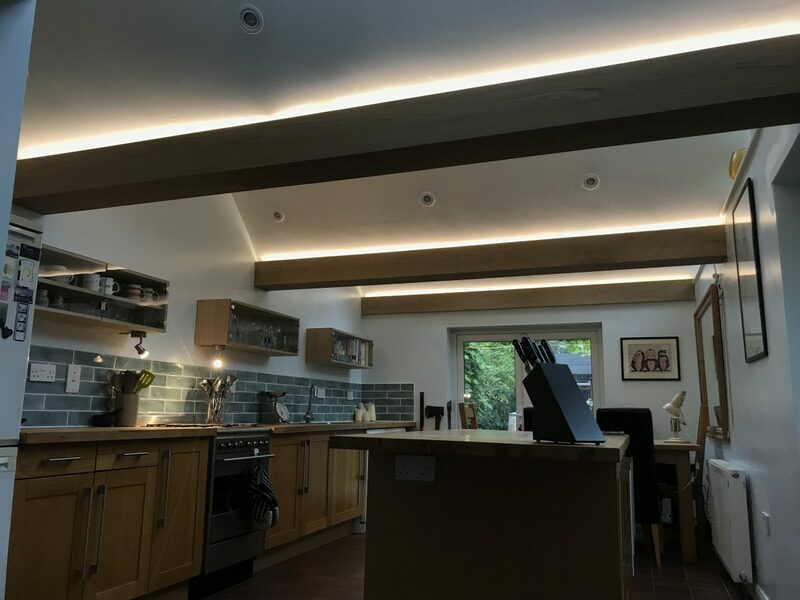 Using our LiteBuilder service, our client sent us the lengths of the beams and we then produced the appropriate lengths of extrusion, cover and LEDs – all pre-cut and soldered ready for installation. 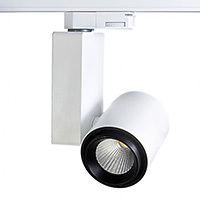 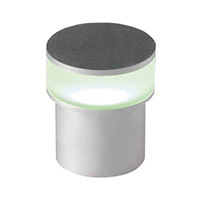 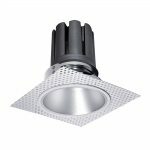 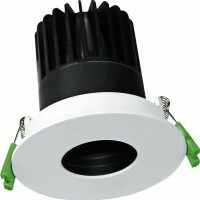 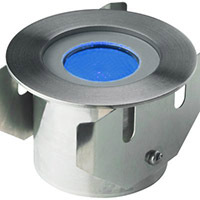 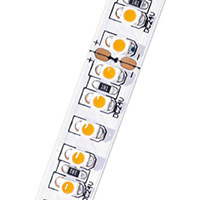 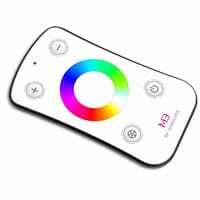 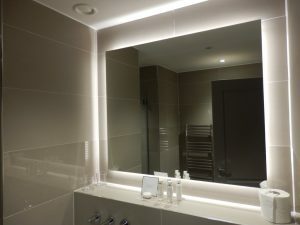 The client selected white colour temperature controllable LEDs – this means that the LEDs can be switched from warm white, to cool white, to natural white depending on the effect that the client wishes to create in the room. We were asked by Somerset-based glass company, Motif Glass, to assist them with a project in Birmingham. 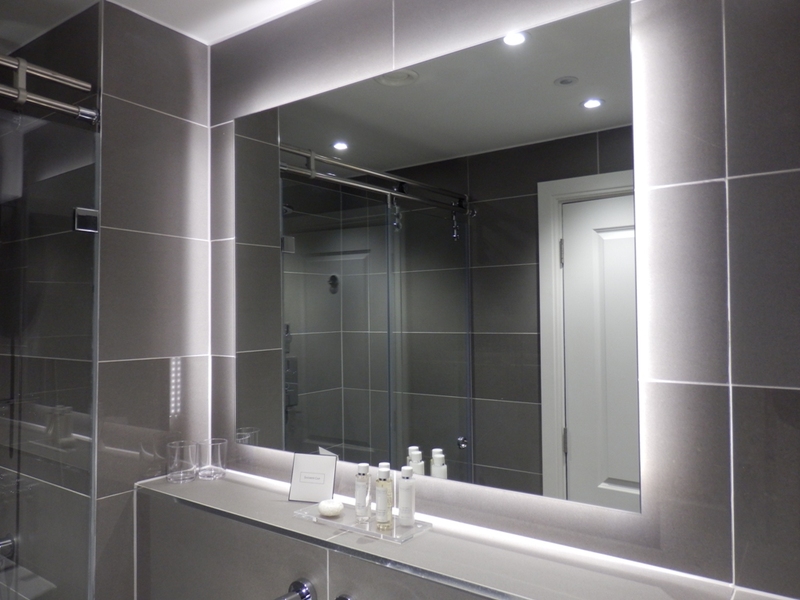 Their client was developing a block of luxury serviced apartments in the centre of Birmingham. The building is an iconic Art Deco building and their client wanted the apartments to have a mix of modern and traditional styles. With a choice of 1 or 2 bedrooms, each apartment is individually styled with a stunning, yet contemporary finish. 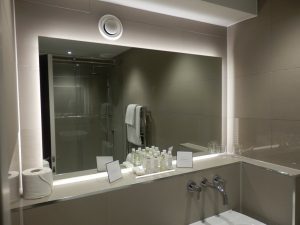 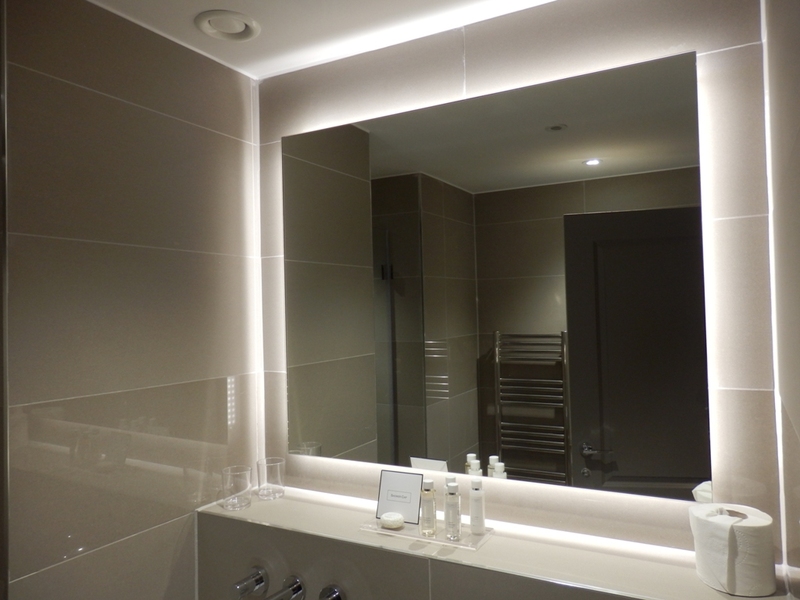 Motif’s client wanted to have illuminated mirrors in each bathroom but wanted the lighting to give the effect that each mirror was “floating”. 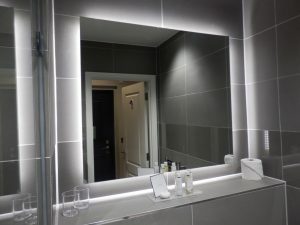 Having designed the best way to produce this effect, we supplied Motif Glass with white LEDs, extrusion and power supplies so that they could install the lighting at the same time as the mirrors were installed. 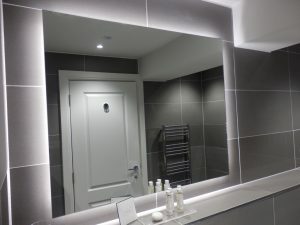 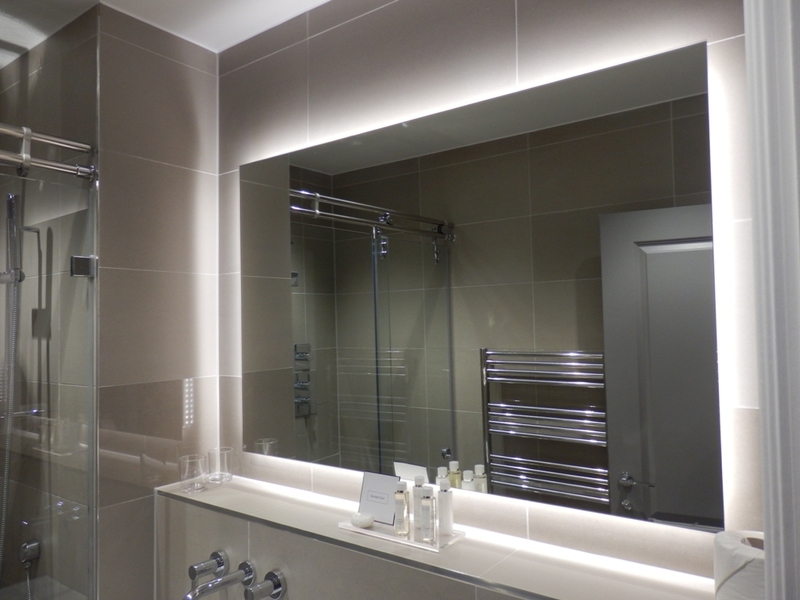 These images show the finished mirrors (ranging in size from 840mm x 740mm up to 1440mm x 740mm) and although this project was in a block of serviced apartments, this effect would look equally good in a private house, hotel bathroom or restaurant.